From Chocowinity take Rt.# 33E to Rowe Rd. 2011 Snow storm in NC. 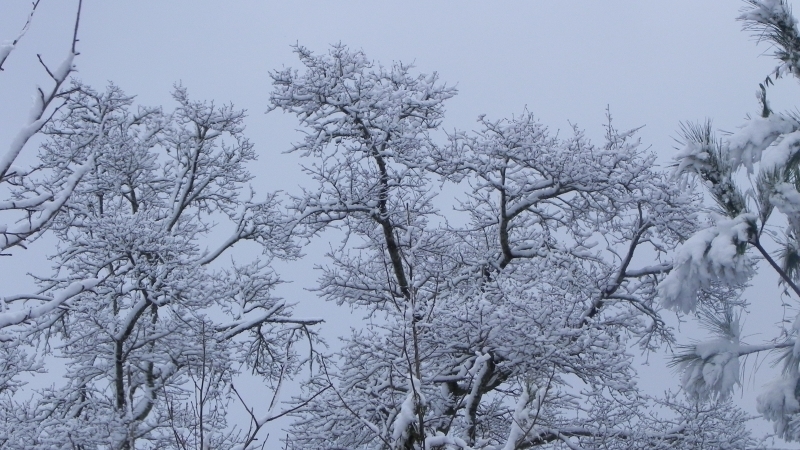 Tree tops covered with heavy snow.